There’s nothing that I love more than to witness parents breathe a huge sigh of relief for the first time when it comes to feeding their kids. I live for those moments where I know that I’ve succeeded in helping families end mealtime battles and picky eating power struggles, and shift towards happier and healthier mealtimes. Feeding kids is a tough gig. I know this not only because I’m a pediatric dietitian and nutritionist, but also because I’m a mom of three. I teach parents how to “roll with the punches” of childhood eating, set healthy mealtime boundaries (and stick to them) and raise healthy, happy and adventurous eaters. 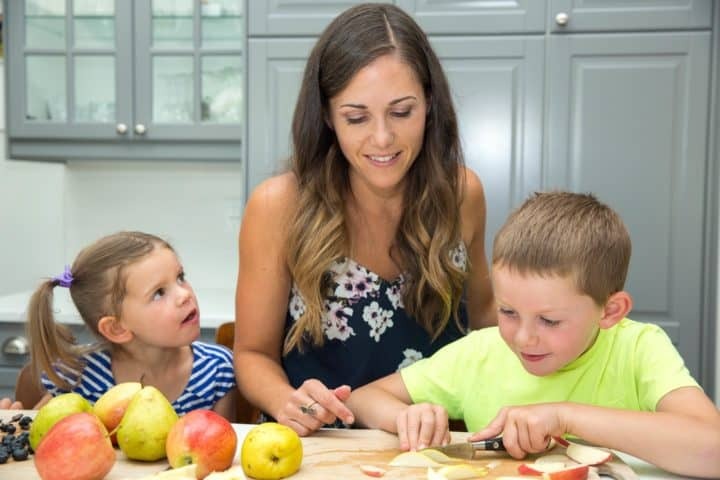 As a Mom, Registered Dietitian and Nutritionist with a specialty in pregnancy, babies and kids, I have a passion for good food, and teaching parents how to healthfully (and realistically!) feed their families. I devote much of my time to writing and blogging, creating helpful and authentic content for parents, as well as developing healthy, easy recipes that I serve to my own family too. I work with the food industry, not-for- profits, daycares/dayhomes and child-friendly brands and companies that align with my values, to support and promote products, services and foods that I believe in, in an authentic and meaningful way. I am the founder and owner of The Centre for Family Nutrition, a Calgary-based nutrition counselling practice that specializes in pre-natal, infant and child nutrition. We support clients in many areas of family nutrition, including fertility, healthy pregnancy, introducing solids, dealing with picky eating, teen nutrition and healthy weight loss.